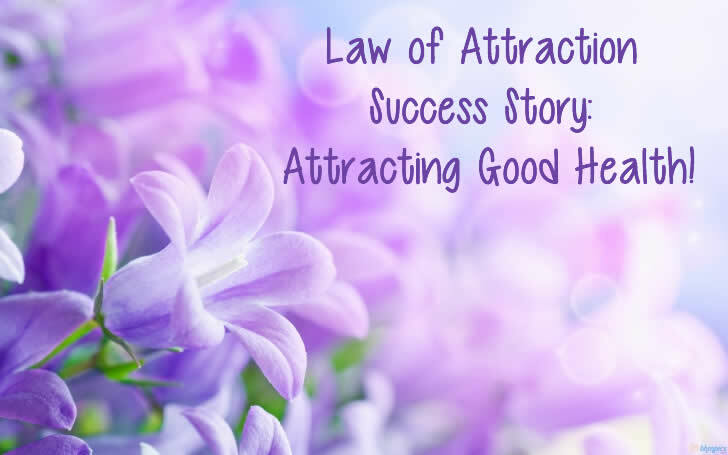 Law of Attraction Success Story: Attracting Good Health! Today’s story is really inspirational and a must read for anyone suffering from any serious ailment. The author describes how she fought tumor in her stomach with the help of law of attraction and visualization. I was diagnosed with a tumor in my stomach last year and I got upset over the whole issue. I was advised that I needed surgery. I was very happy to come across The Secret at that time. I visualised getting better and healthier using the LOA. Also I started believing that I could do all my tasks and jobs, both personal and professional, after my surgery. I also visualised a very smooth postoperative period with a fast recovery. True to Rhonda’s words, the surgery and postoperative periods were really smooth and uneventful. Now almost a year later, my endoscopy and CT scan reports are normal, thanks again to positive thinking. I have bounced back to life with greater joy, enthusiasm and gratitude. …The Secret has become a part of my day to day activities..
About the Author: I am a 43-year-old lady doctor from Chennai. I used to be an introvert and a pessimistic person. I work for a private medical college in Chennai India.